Occupational Therapy New Zealand Whakaora Ngangahau Aotearoa - » 2018 is a great year for awards and grants. 2018 is a great year for awards and grants. 2018 is a great year for awards and grants. Please consider nominating a colleague for the Hazel Skilton Founder’s award, or the Francis Rutherford Lecture Award (FRLA). 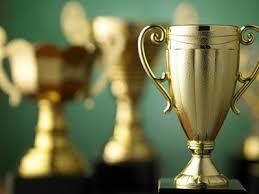 We also have the OTNZ-WNA Achievement Award and OTNZ-WNA Aotearoa Graduate Awards.